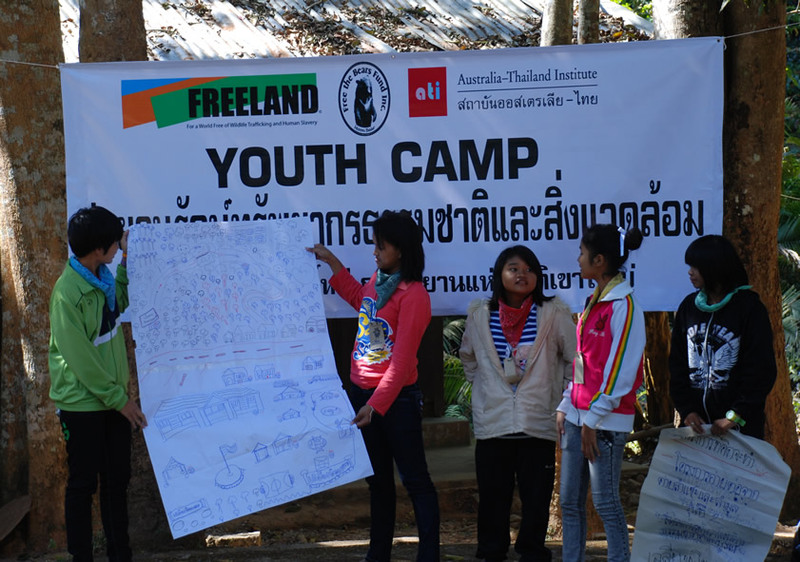 FREELAND‘s education team organized the final conservation youth camp of 2011 at Khao Yai National Park last week. Students from nearby schools came to camp out and explore, while learning about the park and the importance of conserving its wildlife. 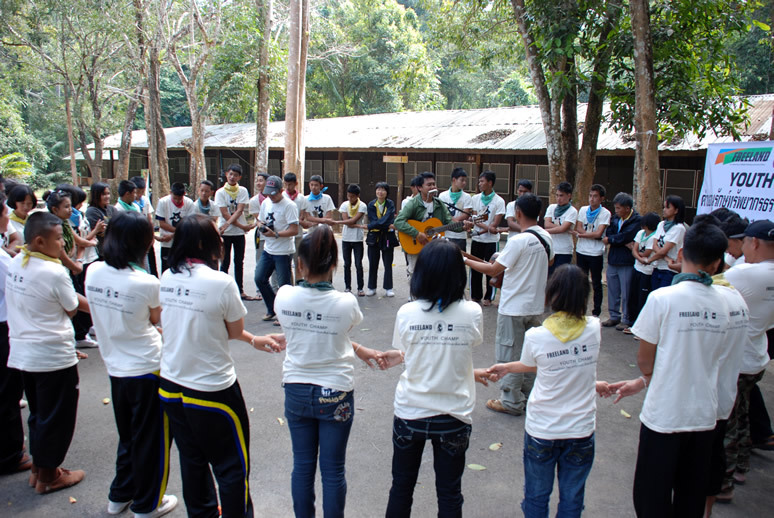 Sponsored by the Australia-Thailand Institute and Free the Bears Fund, this youth camp focused on endangered bear species, including the Asiatic Black Bear and Sun Bear. Students learned about the constant threat of poaching these animals face, as well as ongoing efforts by park rangers and organizations like ours to protect them and to halt wildlife trafficking. Over three days, a variety of fun and challenging activities helped students make a lasting connection with nature. Early morning treks through the park to explore and learn how to identify animal tracks and sign, were followed by outdoor lessons, games and camp fire songs. Our young budding conservationists were encouraged to present their ideas on protecting bears and discuss the importance of community involvement in wildlife and ecosystem conservation. The camp culminated in students performing their own skits to demonstrate what they’d learned and presenting their own plans for a more harmonious co-existance of human communities and forests. 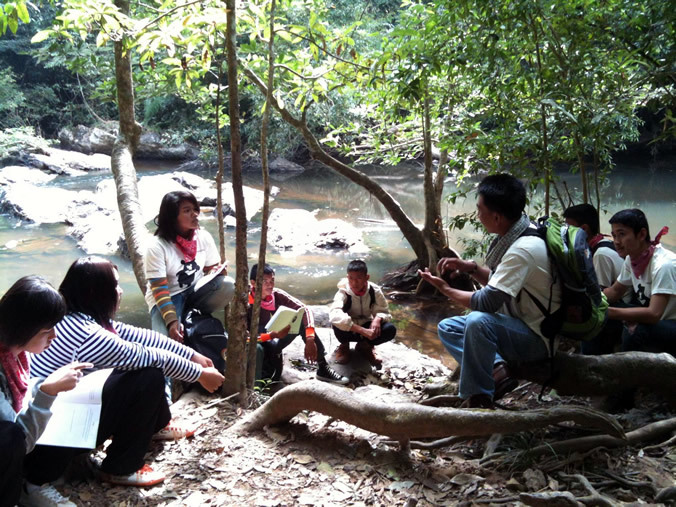 From the number of enthusiastic smiles, it’s clear that the seeds for dozens of new wildlife activists were sown in local communities this month, which can only help Khao Yai’s wildlife. Next Next post: Wildlife art competition: What’s a Numbat?